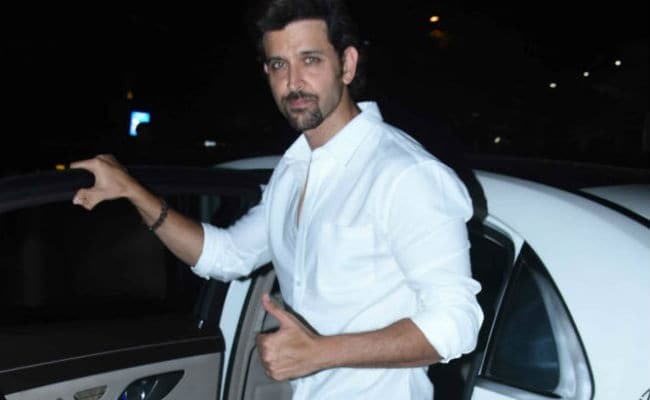 Actor Hrithik Roshan will perform at the opening ceremony of the upcoming Indian Premier League (IPL), which begins on April 7. "Yes, I can officially confirm that I will be performing for the opening ceremony of IPL. I have already started rehearsing for it. It will be fun to perform in front of a live audience once again," Hrithik said in a statement, reports Hindustan Times. A picture of the actor, rehearsing with choreographer Shiamak Davar and two other dancers, was also shared earlier this week. "Time to create Dhoom! Shiamak Davar with the one and only Hrithik Roshan #IPL2018," read the tweet posted by the choreographer's PR head. Hrithik Roshan, 44, will reportedly perform for the finale act, which Ranveer Singh was earlier signed for. However, the "Padmaavat" actor had to back out due to a shoulder injury. The Hindustan Times report states that Hrithik will be performing to his hit songs like Dhoom Machale (Dhoom), Ek Pal Ka Jeena (Kaho Naa... Pyaar Hai), Baware Baware (Luck by Chance) and Senorita (Zindagi Na Milegi Dobara). Over the weekend, news agency IANS reported that Ranveer's doctors have advised him rest and also asked him to skip the IPL performance. "After multiple medical check-ups, the doctors have strongly advised Ranveer Singh not to perform at this year's IPL opening ceremony in which he was doing the grand finale act. They feel his high-energy performance would only overstrain his shoulder and aggravate the injury," IANS quoted Ranveer's spokesperson as saying. He later shared his health update and tweeted, "Thank you for the good wishes everyone. I'm good. It's just a labral tear in my left shoulder. I intend to come back stronger. Love you all." Varun Dhawan, Parineeti Chopra and Jacqueline Fernandez are also expected to perform at the opening ceremony of IPL 2018 at Mumbai's Wankhede stadium.